Viewers may love or despise Donald Trump. But the sight of him lights up the brain. Something about Trump — his face, his voice, his message — generates "increased brain engagement," SBB Research Group CEO Sam Barnett said in an interview with CNNMoney. Barnett, a hedge fund operator by day and neuroscience PhD candidate by night, has been strapping electrode caps on focus group participants and showing them primary season debates. He worked with CNNMoney during the most recent GOP debate, which was televised by CNN on March 10, to screen and study a dozen viewers' reactions. "The most intriguing result was that Trump generated more brain engagement than his rivals in almost every demographic category, even among Democrats and Independents," Barnett said. "In each category, Trump outperformed the lowest ranked rival by a double-digit percentage." Barnett's findings come from an electroencephalography study, or EEG study for short. "EEG systems measure electrical activity of the brain," he explained. The focus group participants might have been excited by Trump. Or they might have been repulsed. But one thing was for sure: they weren't bored. This could be a testament to Trump's considerable television performance skills. Or to his provocative nature. Topics like immigration, a staple of Trump's speeches, triggered big surges in neural activity. Trump led Ted Cruz, John Kasich and Marco Rubio among the women in CNN's focus group of 12 Illinois viewers. Rubio led Trump slightly among the men. While the focus group was relatively small, Barnett noted that his "neural engagement rankings" for the Republican viewers —Trump first, Cruz second, Kasich third, Rubio fourth— "exactly predicted the ranked outcome in the Illinois primary" the following week. Rubio dropped out the same evening after losing in his home state of Florida. While Trump was the most engaging of the GOP candidates, it is unclear how he stacks up to his Democratic counterparts, Hillary Clinton and Bernie Sanders. Barnett said he is using EEG studies "to understand brain responses to complex stimuli, such as movies and advertisements." He sees applications for his hedge fund and for a wide variety of other fields. 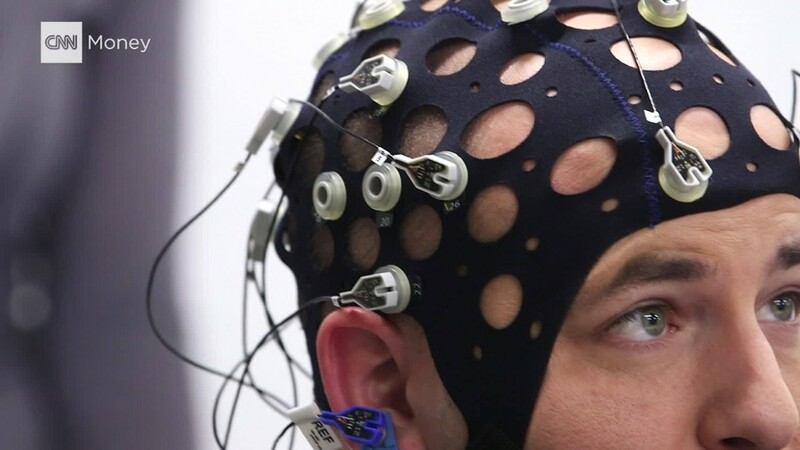 "We believe EEG studies can be applied in numerous commercial contexts, such as advertising, entertainment, product design, and investing," he said.